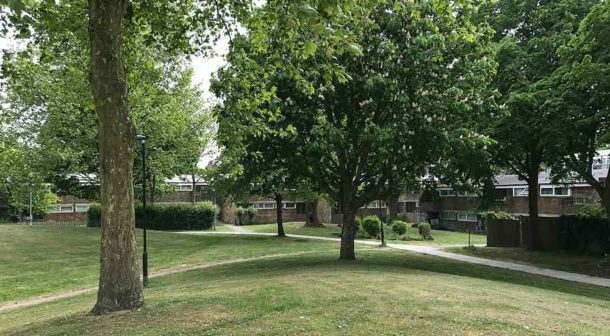 Residents of Cressingham Gardens – who are planning a new protest over Lambeth council’s decision to demolish their homes next to Brockwell Park – feature in a film that premieres next month. They are demanding that the council, which intends to knock down the housing estate and rebuild it with more accommodation, follow a policy that was agreed at this year’s Labour party conference calling for “full binding ballot rights for estate residents in any ongoing and future regeneration projects”. In his closing speech, leader Jeremy Corbyn said that, too often, so-called regeneration of social housing meant “forced gentrification and social cleansing”. The Cressingham protesters, demanding “Ballot Us!”, will meet at the rotunda building on the estate on Saturday 2 December at 1.15 pm before a march to Lambeth town hall in Brixton. They point out that Lambeth’s Labour-controlled council has refused to ballot them on its plans. Supporters of the protest are urged to “make it loud, vibrant, dynamic and colourful” and, if they can, wear green. Concrete Soldiers UK, which premieres on Friday 8 December, is a documentary by Nikita Woolfe of the Woolfe Vision film collective that focuses on the growing tendency of councils and housing associations – starved of funds by central government – to strike deals with private developers to demolish and rebuild social housing instead of renovating it. 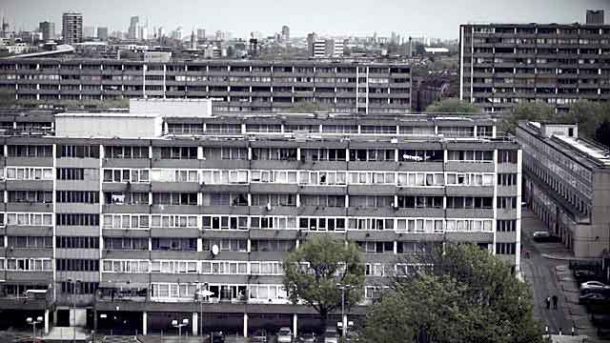 The non-profit film which was made without outside funding, is based on three South London estates, the Aylesbury in Southwark, and Central Hill and Cressingham Gardens in Lambeth. Woolfe says the film exposes “how councils bully residents into making decisions about their homes without proper consultation and also uncovers how developers have found loopholes to avoid building affordable housing”. It also looks at the Grenfell Tower disaster in June and the calls from some people that followed it for demolition of 1960s and 70s tower blocks. But, says Woolfe, “there is resistance from people fighting for the future of our social housing. “Working tirelessly, these people are fighting the system because they believe that by sheer persistence they can make a difference. The premiere, which is also a fundraiser for leaseholders of the Aylesbury estate who face imminent destruction of their homes, is at the Cinema Museum – itself threatened by redevelopment – in Elephant and Castle at 2 Dugard Way SE11 4TH at 7pm on 8 December. 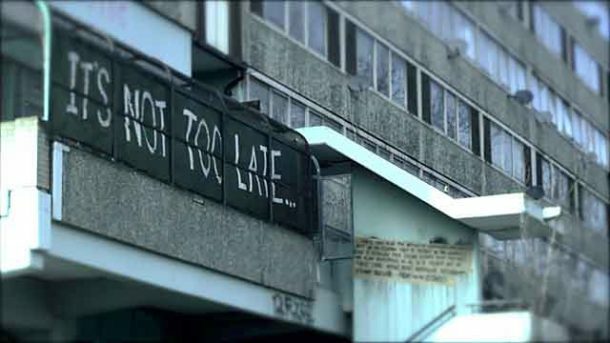 The hour-long showing will be followed by a debate hosted by Nikita Woolfe and journalist and activist Andy Worthington, who narrates the film, about the future of social housing and how to forge links and offer alternatives “bringing glimmers of light in these dark times”. Rapper Potent Whisper is also due to appear. Tickets £10 waged/concessions. Available on the door subject to availability. See more at the film’s Facebook page.